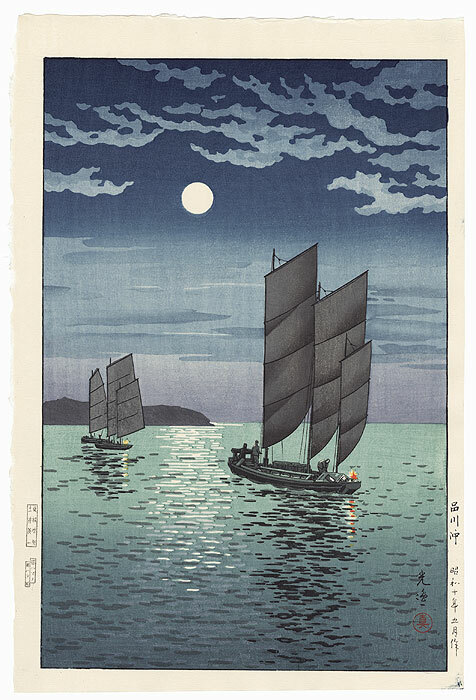 Comments - Beautiful night scene by Koitsu of boats at Shinagawa, sailing under a softly glowing full moon. 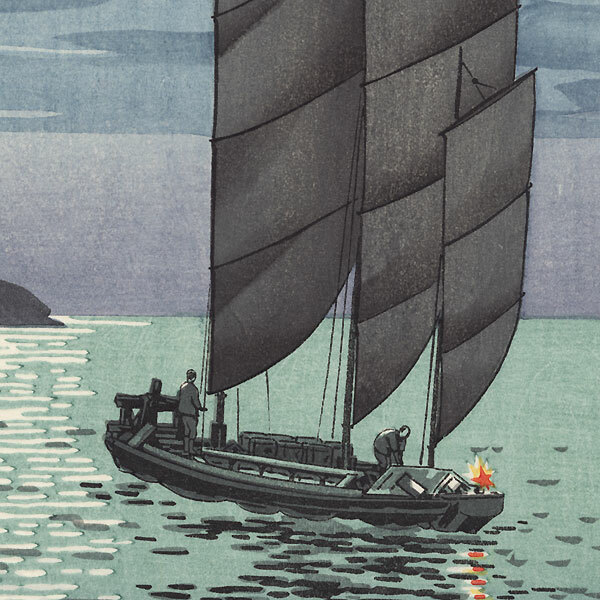 The moonlight and the shadows of the ships are reflected in the gently rippling surface of the water, creating a shimmering display of light. 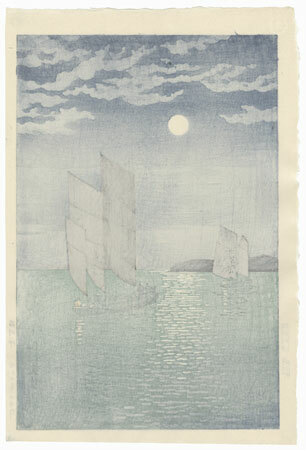 Beautifully shaded with a lovely palette of soft blues and plum along the horizon.